The worst of Tropical Storm Jose has passed for Cape Cod and the Islands, though some Tropical Storm Warnings remain in effect Thursday. Jose continues to move away from the coast heading into the weekend, but it will move back west slightly Thursday evening. Beach erosion is expected to occur along the southeast coastlines of Massachusetts, Rhode Island, Cape Cod, the Islands and Block Island into Thursday. One to three inches of rain are expected across Cape Cod and Martha’s Vineyard, with up to five inches across Nantucket. Jose will continue to move away from the coast heading into the weekend, but it will move back west slightly Thursday evening. Gusts could still peak at 30 to 40 mph along the coast and 50-plus on the Cape/Islands as the wind ramps up. There’s still a threat of strong rip currents that will continue into the weekend. As of Thursday morning, Eversource reported more than 32,000 without power in Barnstable, more than 11,000 without power in Mashpee and thousands of others without power throughout the Cape as the strong winds have knocked down tree limbs and power lines. Ferry service out of Woods Hole remains impacted by this storm. All service to Nantucket is on hold. Ferries to Martha's Vineyard are on a trip by trip basis. Though water was battering the sea wall on the coastal communities on Wednesday, several people could be seen taking advantage of the surf and filming the waves. Nancy Monhehan, who was watching the waves in Plymouth said, "It's peaceful in a way. Just come down here with your coffee and it's terrific." 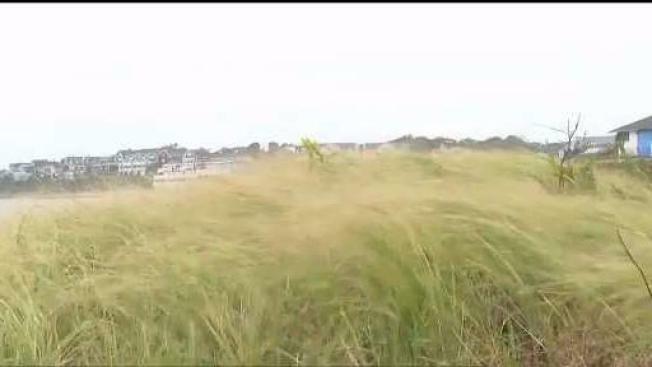 Tropical Storm Jose brought strong gusts of wind and rough seas to Nantucket on Wednesday night. On Thursday morning, people could be seen taking a morning stroll along the beach. "It's always fun to watch and see Mother Nature doing it's thing," Pat Cleary, who came out to watch the waves, said. Sandwich resident Carol Lannon was visiting the shoreline to also take in the powerful storm with her dog. "It was pretty rough," she said. "The dog was having a hard time keeping her balance." However, some of the small businesses are taking a hit financially since the ferries are closed and visitors can't get here. One bed-and-breakfast said it has had 12 cancellations, adding up to losses totaling thousands of dollars. 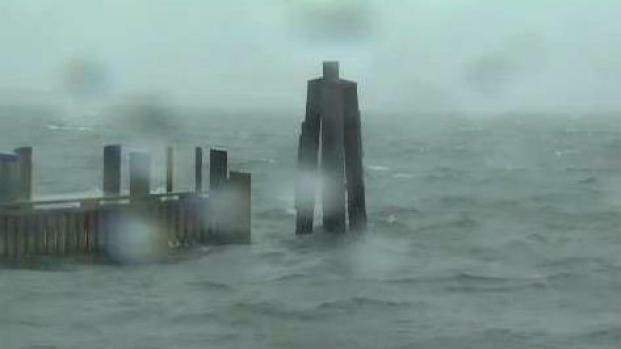 Scientists with the U.S. Geological Survey have installed 17 storm-tide sensors across southern New England to measure the effects of this tropical storm. The USGS says the data will lead to more accurate flood forecasts and help with flood protection.